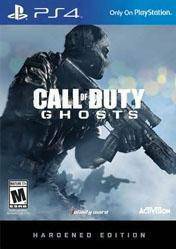 This edition of Call of Duty: Ghosts brings lots of extras and everything you need to make the most incredible experience of the latest release of the CoD series. With this issue we get the Season Pass, with which we can enjoy epic four map packs, obviously we can only use these new maps in multiplayer, but it is still an interesting addition. In addition, the package also comes digital content team leader, a bonus or season pass that includes a single head skin and camouflage for our weapon, reticle, patch player, card player and more. Includes map Freefall, which is a brand new multiplayer map whose action takes place in a skyscraper to collapse shattered. There are no comments yet about Call of Duty Ghosts Hardened Edition. You can be the first one!